MKV video format is preferred by many experienced movie fans as MKV is able to hold unlimited number of video, audio, subtitle tracks, and any metadata. Therefore it is possible to put entire movie with multiple subtitles, audio tracks and chapters into a single MKV file. For Blu-ray movie collection fans, converting their favourite Blu-ray movies to MKV seems to be an ideal solution to well protect Blu-ray disk item and to retain multiple subtitles, audio tracks and chapters at the same time. As is known to all, it needs a Blu-ray to MKV converter to convert and rip Blu-ray to MKV. There are countless Blu-ray to MKV converters on the market. For example, MakeMKV is one of them. Just like an old saying, “Every coin has two sides”, MakeMKV could be used to rip Blu-ray to MKV, but it inevitably has some drawbacks. Thus, we have to look for a MakeMKV alternative. How to choose a good MakeMKV alternative? Which is the better application to convert Blu-ray to MKV? Today, we will make a comparison between three most popular Blu-ray to MKV converters, MakeMKV, Leawo Blu-ray to MKV Converter and Leawo Blu-ray Ripper: MakeMKV vs. Blu-ray to MKV Converter or vice versa Blu-ray to MKV Converter vs. MakeMKV. MakeMKV is a software app that provides an easy solution to convert DVD, Blu-ray and AVCHD discs into MKV. MakeMKV changes the video clips from the disk into a set of MKV files, preserving most information but not changing it in any way(no video and audio reconversion).The software is available for Windows, Mac OSX and Linux. MakeMKV is free for ripping DVD. But it only provides 30-day free trial for ripping Blu-ray. You need to pay $50 for lifetime Blu-ray ripping. As the best MakeMKV Alternative, Leawo Blu-ray to MKV Converter is especially designed to rip Blu-ray to MKV with lossless quality, including Blu-ray disc and Blu-ray folder. After Blu-ray disc/folder item is loaded, users are allowed to freely choose chapter to convert, and subtitle as well as audio track to retain in output MKV file. All chapters, subtitles and audio tracks can be checked to convert and retain at one time. The best MakeMKV altenative supports whatever type of Blu-ray disc input, be it homemade or encrypted Blu-ray disc. Equipped with an internal media player, users can preview selected Blu-ray chapters together with subtitles and audio tracks on the right program window. Powered by advanced transcoding technology, Leawo Blu-ray to MKV Converter can convert Blu-ray to MKV at lightning speed, the same as that of Blu-ray drive reading. Leawo Blu-ray to MKV Converter provides Windows and Mac version. Users should download the correct version based on their computer’s Operating System. After the downloading process is finished, install and launch the best MakeMKV alternative to rip Blu-ray to MKV. Like the best MakeMKV alternative, Leawo Blu-ray Ripper is a product also developed by Leawo Software, a Chinese mainland multimedia software giant. Leawo Blu-ray Ripper supports homemade and encrypted Blu-ray disc, and Blu-ray folder input. In addition to ripping Blu-ray to MKV, Leawo Blu-ray Ripper can rip Blu-ray to many other various video and audio formats such as MP4, AVI, MOV, FLV, MP3, AAC, etc. Unlike Leawo Blu-ray to MKV Converter preset with MKV output, Leawo Blu-ray Ripper requires one more step when ripping Blu-ray, to set output format. Most features of the best MakeMKV alternative are well kept in Leawo Blu-ray Ripper. Convert Blu-ray to MKV, MP4, AVI, etc. 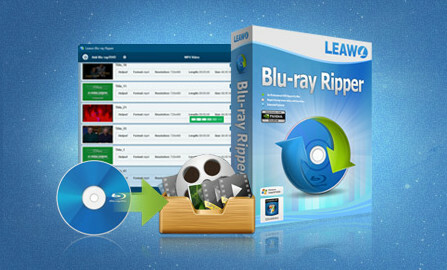 Leawo Blu-ray Ripper also provides Windows and Mac version. Users should download the correct version based on their computer’s Operating System. After the downloading process is finished, install and launch it to rip Blu-ray to MKV. MakeMKV, Leawo Blu-ray to MKV Converter and Leawo Blu-ray Ripper are all excellent Blu-ray converting applications. However, after detailed comparison, Leawo Blu-ray to MKV Converter and Leawo Blu-ray Ripper are obviously much better than MakeMKV. If you are looking for a professional Blu-ray/DVD to MKV Converter, Leawo Blu-ray to MKV Converter and Leawo Blu-ray Ripper will be good choices for you.